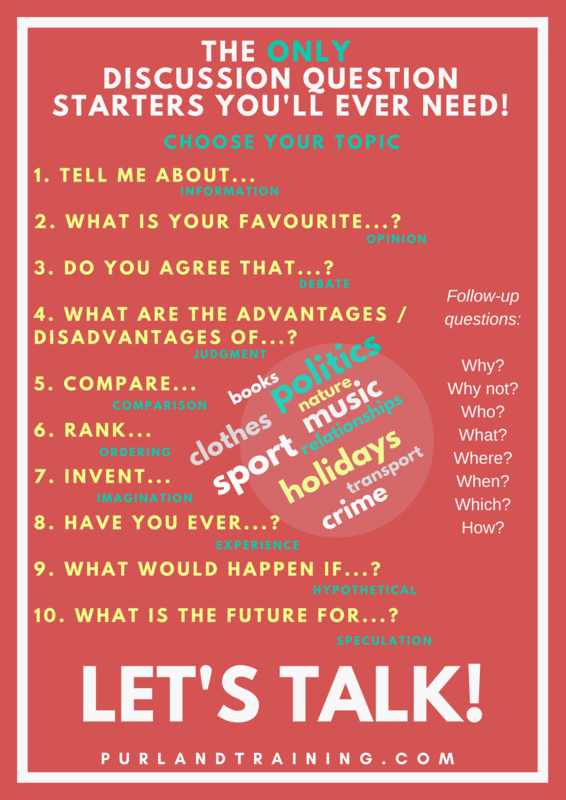 Do you struggle to think of discussion questions for your ESOL and English language students to talk about? Maybe you just need a twenty-minute filler, but no questions on the topic of Global Warming or The Entertainment Industry instantly spring to mind? Don’t panic! 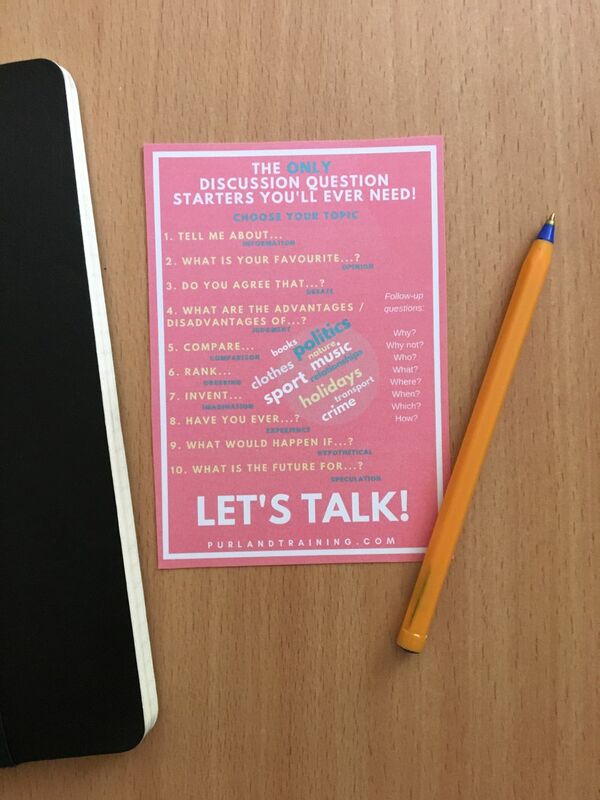 Simply keep our FREE discussion questions cheat sheet close at hand – it really is the only discussion question starters list you’ll ever need! This is an example of a set of ten discussion questions based on this template on the topic of the 2018 World Cup. It took me less than two minutes to think of them and write them on the board for the students to begin discussing!